For the third straight season the Kelowna Rockets are off to the Western Conference semi finals. Shane McColgan scored twice and added an assist as the Rockets eliminated the Prince George Cougars in four games with a 4-2 win Wednesday night at CN Centre. Zak Stebner and Damon Severson, both with their second goals of the series, also scored for the Rockets who will open the second round on the road. McColgan ended the series with 10 points in just four games. McColgan (3+7=10) now leads the WHL playoff points parade. It was a much improved effort by the Rockets after what we witnessed in game three. The defensive core played a low risk game yet still generated two of the four goals in the victory. I don't want to be negative, but don't fool yourself into believing that the Rockets performance in all four games against the Cougars would be good enough to beat a second round opponent. It won't be good enough. Trust me, if the Rockets play to a similar level in round two like they did against Prince George, they will suffer the same fate the Cougars did. Again the Cougars played game four without Brett Connolly. It was learned after the game that Connolly suffered a grade two separated shoulder. Connolly was hurt early in game one. You have to wonder how close the series would have been with a healthy Connolly in the Cougars lineup. My guess is we would be playing game five Friday night at Prospera Place. The Cougars didn't dress forward Charles Inglis in game four after he too suffered a shoulder injury. I am not sure if the injury occurred the night prior or if he was hampered by it throughout the series? If it was hurt prior to last night's game, it's interesting that a veteran player would elect to sit out a game where his team needed him the most. It will be interesting to see how the Rockets react to having Evan Bloodoff back in the lineup in the second round now that his four game suspension is over. The 20 year-old will only complement Geordie Wudrick and Colton Sissons, who were relatively quiet in the series after making some noise prior to Bloodoff's suspension. A classy gesture on behalf of Cougars GM Dallas Thompson who sent me a congratulatory text message on the series win. Special thanks to Colour Analyst Gord McGarva for joining me in Prince George over the last couple of days. McGarva elected to take the drive with me up north over a trip to Arizona for the spring break. McGarva played a huge role in our post game show coverage by getting reaction from the Rockets dressing room. Winning ugly happens. Without question it happened Tuesday night for the Kelowna Rockets in a 7-6 road win in Prince George. The Rockets are now one win away from advancing to the Western Conference semi finals against what appears to be the Portland Winterhawks. Tuesday's game was error filled and featured everything from horrendous giveaways, players tripping for no apparent reason, and to top it off, Cougars goaltender Ty Rimmer falling flat on his rear end on a Mitchell Callahan breakaway. The fans likely enjoyed it, but the coaches could only shake their heads at what they witnessed in a playoff game were scoring chances are usually fewer than an Ogopogo sighting. Not on this night. As bad as the Rockets played the Cougars were equally as inept. Cougars starter Ty Rimmer made some good saves in the second period on low shots from Tyson Barrie and Andreas Stene but he struggled glove hand side. Colton Heffley, Cody Chikie, Brett Bulmer and even a third period goal from Shane McColgan after Rimmer bobbled the puck on a harmless shot from Gal Koren resulted in a goal. Giving up six goals by the Rockets defensive core is tough to swallow. Giving up seven in a playoff game by the Cougars is embarrassing. I won't throw Rimmer totally under the bus. Others deserve to go with him. The Cougars turned over the puck far too many times resulting in four goals by the Rockets that all went unassisted. Cougars forward Charles Inglis went as far as to rim a puck behind his own net that it went off Rimmer's stick and then landed on the blade of Rockets forward Zach Franko. Franko promptly scored his first goal of the playoffs. The Rockets power play really struggled. The first three power play chances didn't even register a shot on net! Yet in saying that, the game winning goal was scored on the power play when Cody Chikie's one timer from the slot appeared to hit Mitchell Callahan in the knee in front of the net as he attempted to provide a screen and made its way past Rimmer. A scary situation happened in the first period when Rockets forward Jessey Astles missed a check and crashed into the side boards. The 17 year-old was helped off the ice and looked wobbly. Surprisingly, Astles reappeared in the second period and looked none worse the wear. Please say the ice at the CN Centre was a contributing factor in the poor play...please!!! The Rockets have now scored seven goals in back-to-back games. Preparing for game three in P-G! Jason Siebert will miss his 50th straight game tonight. The sixteen year-old has been skating for just over a month but with no contact. Rookie goaltender Jordon Cooke is one of few skaters on the ice this morning during the optional skate. The score clock at CN Centre. Here is the sign that greets you just outside Kamloops. You know it's a long haul ahead of you thanks to this reminder. 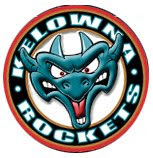 Tonight’s Preview: The Kelowna Rockets lead the Prince George Cougars 2-0 in their best of seven Western Conference quarter-final series after a 4-1 win in game one and a 7-4 victory in game two. The series now shifts to Prince George for games three and four tonight and tomorrow night. If a game five is necessary, it will be played Friday in Kelowna. The Rockets played four games in Prince George during the regular season winning twice and losing twice. The Rockets were out-scored 10-8 at the CN Centre this season despite back-to-back 4-2 and 2-1 overtime wins in late November. The two losses, by scores of 4-2 and 3-0, came on February 4th and 5th. In the four games played in Prince George this season, the Rockets power play was 2 for 24 (8.3%). These two teams are meeting for the first time in the playoffs since 2000. By the numbers: Of the 11 goals scored by the Rockets in this series, four have come from defenceman…The Rockets are 4 for 12 (33.3%) on the power play in the first two games while the Cougars are 1 for 5 (20%) with the extra man…The Rockets have out-shot the Cougars in the first two games…The Rockets have out-scored the Cougars 7-0 in the third period….Of the 25 penalties that have been called in the series, nine have been whistled down in the 1st and 3rd periods with seven infractions called in the second frame. Game one recap: Mitchell Callahan scored twice while Damon Severson and Geordie Wudrick added singles. The two teams were tied at one after 40 minutes before the Rockets scored three unanswered goals in the final frame. Adam Brown earned the win in goal making 24 saves. The Rockets were 2 for 7 on the power play. Game two recap: Cody Chikie and Shane McColgan each had three points games as the Rockets produced a 7-4 win Saturday night. The Cougars held a 4-3 lead after 40 minutes before the Rockets stormed back with four goals in the third period. Colton Sissons, Tyson Barrie, Jessey Astles, Kevin Smith and Zak Stebner scored goals in the win. Adam Brown made 26 saves as the Rockets went 2 for 5 on the power play. Playoff Experience: Geordie Wudrick and Tyson Barrie lead the Rockets in playoff experience with 43 games apiece. Overage d-man Zak Stebner has 29 games of playoff experience after playing in 23 games last season with the WHL champion Calgary Hitmen. Who’s Hot: Geordie Wudrick has goals in eight of his last ten games…Tyson Barrie has points in ten of his last fifteen…Evan Bloodoff has twelve points (6+6=12) in his last sixteen games…Shane McColgan has thirteen assists in his last twelve games...Mitchell Callahan has 5+4=9 in his last twelve games…Zach Franko has five goals in his last ten games. This and That: Evan Bloodoff is serving game three of a four game suspension for a charging major against Vancouver in the final game of the regular season….Zak Stebner now has nine career goals against the Cougars. Eight of those nine were scored during the regular season with the lone playoff goal coming in game two… The Rockets had 17 more points than the Cougars during the regular season….The Rockets were 22-13-0-2 from January 1st to the end of the regular season. The Cougars were 14-20-0-1 over that same period. The Rockets accumulated 46 points over that stretch while the Cougars earned just 29….Tyson Barrie leads the Rockets in playoff points with 36. Barrie has 9+27=36. Wudrick has 26 career points.…Jason Siebert is missing his 50th straight game after undergoing surgery on his wrist….The Rockets allowed the fewest goals against on the road in the WHL this season (93 – tied with Red Deer)….The Rockets were involved in twenty-six (26) one goal games this season. The Rockets were 18-7-0-1 in those twenty-six (26) one goal games…Only three players dressed in all 72 regular season games this season. They were Zach Franko, Kevin Smith and Evan Bloodoff.…The Rockets received the second most power play chances of any team in the WHL this season (383). Tri City led the league with 385 opportunities.…The Rockets (6-0), Portland (5-0) and Swift Current (5-0) were the only three teams in the WHL this season that did not lose in overtime….The Rockets allowed the second (tied with Red Deer) fewest power play goals against in the WHL (51). Only Spokane allowed fewer goals against…At the Rockets awards banquet Sunday, Adam Brown was named the team MVP. Tyson Barrie was named the top defenceman while Mitchell Callahan was the top defensive forward. Colton Sissons picked up the rookie of the year award and top plus/minus player. Cougars d-man Sena Acolatse is a better player than I anticipated. You would think after nine meetings you would have a good read on a particular player on the opposition, but the playoffs brings out their abilities or inabilities to handle certain situations. In other words, their flaws are often exposed. The 20 year-old has been impressive on the Cougars back end. Acolatse picks the right time to join the play and makes few mistakes in his own end. He isn't error free....but who is? The Cougars hit a home run when they acquired this player. A third round pick was the asking price for Acolatse. A pick well spent in my eyes. Without question the move to Prince George gave Acolatse a chance to flourish at his true position as a defenceman. If their were any questions or concerns about the Cougars goaltending being a weakness in this series, Ty Rimmer has answered those naysayers. Of the 11 goals scored by the Rockets in the first two games, two of them have been into an empty net with Rimmer on the bench for the extra attacker. The majority of the Rockets goals have been nice passing plays or quick shots from in close. The only questionable goals he's allowed was point shot blasts from Damon Severson and Kevin Smith. Even the Cody Chikie goal that fluttered by Rimmer in game two was the result of Mitchell Callahan cutting in front of the goaltender and impeding his vision. The one difference between Rimmer's play and that of Rockets goaltender Adam Brown in the first two games is Brown's ability to make saves that should have probably been goals. It's one thing to make the obvious save, it's a different ball game when you hold your team in the game by making stops that should have theoretically been goals. Brown has done that on a couple of occasions while it would be safe to say Rimmer hasn't. The playoffs often bring out the best in people. Geordie Wudrick may be the best example. Did you notice him slide in front of a Sena Acolatse shot in game two? It's that commitment to winning and sacrificing your body that produces a long playoff run. Those type of efforts do not go unnoticed in the broadcast booth and are clearly noted to all that are listening. No question its been a sleepy opening two games for 18 year-old forward Brett Bulmer. Quiet in game one, Bulmer showed some signs of coming out of his funk in game two. What I have clearly seen from Bulmer over his short time in Kelowna is that he plays arguably his best hockey in Prince George, his home town. If Bulmer comes alive in game three and four the Cougars are in for some struggles in their own zone. Shane McColgan has really impressed in the first two games. Five points, all assists, is a great way for the 17 year-old to lead the charge offensively. His compete level and ability to distribute the puck to his line mates has been solid. When he plays like an individual he is mediocre. When he makes plays and his line mates shine because of it, he looks more brilliant than he may even realize. Shoot the puck! It's a frustration I have specifically with the Rockets young players when shooting lanes are created and forwards and defenceman are hesitant in firing the puck on goal. Look at Zak Stebner's goal in game two as an example. How many attempted shots on goal on that goal mouth scramble did they have before the puck went in? Simply theory that Howie Meeker has preached from day one. Look how the Cougars have scored their goals in this series. Few will make the plays of the week, but who cares! The third period for the Kelowna Rockets in their playoff series with the Prince George Cougars has been fantastic. For the Cougars, the final frame has been forgettable. The Rockets have out-scored the Cougars 7-0 in the final period following a come-from-behind 7-4 win Saturday night. In game two, the Rockets scored five unanswered goals, four of which came in the third period to take a 2-0 lead in the best of seven series. The rally came on the heels of a three goal third period in a 4-1 victory in game one. The Cougars were likely the better team in game two, at least through 40 minutes, but sometimes the game of hockey isn't fair. The Rockets get credit for battling back in the third and sending the series to Prince George with the Cougars in a tough spot. Let the Rockets remind themselves that they too were down two games to none in their opening round playoff series last season against Everett after back-to-back road losses. The Rockets would win two home games and the momentum suddenly switched. Game three Tuesday night in Prince George is equally as important for the Rockets as it is for the Cougars. The game winning goal couldn't have come from a better guy. Seventeen year-old Jessey Astles fired a puck from the slot past Cougars goaltender Ty Rimmer to give the Rockets a 5-4 lead. It was Astles first goal in 20 games and his first career playoff goal. Three of the Cougars four goals were scored from going hard to the net or simply sticking around during goal mouth scrambles. Jaraslav Vlach's second period goal was a great example of simply going to the net and having the puck go off his arm before it trickled past Rockets goaltender Adam Brown. The Cougars prettiest goal came when Sena Acolatse ripped home a one-timer on a feed from Nick Buonassisi. That shot would best explain why the 20 year-old is regarded as having the heaviest shot in the Western Conference. Colton Sissons was named the games first star for his two point effort. Shane McColgan and Cody Chikie each had three points games as the Rockets received points from 11 different players. Kevin Smith's goal in the third period to make it 6-4 was his first career playoff goal. It was also Smith's first goal in 14 games. The Cougars played the game without leading goal scorer Brett Connolly. Connolly suffered what is believed to be a separated shoulder after a hit in game one. The Cougars are keeping quiet on the extent of the injury and do you blame them? Connolly had his arm in a sling which tells you the injury is serious. I really liked the play of Cougars forward Alex Forsberg. Used sparingly, Forsberg showed some creativity in the offensive zone. The younger brother of Cougars defenceman Jesse Forsberg, Alex was the youngest player on the ice surface Saturday night but played well. Mitchell Chapman sat out game two with an upper body injury. That allowed Gal Koren to make his WHL playoff debut. Coach Ryan Huska dropped by before game one. Cougars GM Dallas Thompson joined us on location. Thompson was a great interview as he spoke about his time as a Rockets player playing out of Tacoma. Rockets captain Tyson Barrie dropped by to spend some time with us. Solving all of the worlds problems. Cougars play-by-play broadcaster Andy Neal sits down for a chat. A chuckle or two was had with Rockets VP of Business Development Gavin Hamilton. Co-host Jessica Samuels is to the far right. This Rockets fan has the right idea! The Kelowna Rockets opened their best of seven playoff series with the Prince George Cougars with a 4-1 win Friday night at Prospera Place. The Cougars didn't only lose the game but they lost leading scorer Brett Connolly in the first period. Connolly left the game with a shoulder injury after being hit by Rockets forward Mitchell Callahan. Callahan also made his presence felt on the scoreboard with two goals. Geordie Wudrick and Damon Severson, with his first career WHL playoff goal, also scored for the Rockets. Rockets goaltender Adam Brown made two nice saves early in the game before Mitchell Callahan hit the score sheet with a power play goal to give the home team a 1-0 lead. Brown's stop against Cougars forward Spencer Asuchak on a shorthanded breakaway was one of the main reasons why the Rockets carried the lead into the second period. Shane McColgan collected two assists. The 17 year-old's most impressive point came on a nice pass to Wudrick, who one timed the puck past Cougars goaltender Ty Rimmer. McColgan could have shot the puck, but drew Rimmer across before sending it over to Wudrick for his 16th career playoff goal. Speaking of Rimmer, it was a solid night for the veteran goalie. He had no chance on Callahan's deflection goal and the pass by McColgan to Wudrick couldn't be stopped. Damon Severson's goal to make it 3-1 was questionable, but overall Rimmer had a solid game. Forward Mitchell Chapman (yes he was used as a forward Friday night) left the game in the first period after being hit along the boards in the neutral zone. The impact of the hit opened the penalty box door and Chapman appeared to get his arm tangled as he crashed to the ice. Don't be fooled by the large differential in power play chances handed out in the game. The Rockets may have had seven but three of them were granted after the Cougars were guilty of sending the puck over the glass for delay of game penalties. This was one of the quickest games on record. It took just two hours and seven minutes to complete before the sellout crowd. The Colorado Avalanche Hockey Club announced today that the team has signed defenseman Tyson Barrie to an entry-level contract. Barrie, 19, was named the Western Conference Finalist for the WHL Defenseman of the Year award, an honor he already captured last year. He led all Kelowna Rockets defensemen and finished sixth among WHL blueliners with 58 points (11g/47a) despite playing just 54 games. The Victoria, B.C., native missed two weeks of action while helping Team Canada win the silver medal at the 2011 IIHF World Junior Championship in January. Barrie and the Rockets finished second in the Western Conference and will take on Prince George in the first round of the WHL Playoffs beginning tonight. Colorado’s fourth selection (third round, 64th overall) in the 2009 Entry Draft, Barrie was named the 2009-10 WHL Defenseman of the Year after tying for first among all league blueliners with 72 points (19g/53a) in 63 games. He was selected to the WHL First All-Star Team and Canadian Hockey League Second All-Star Team. Barrie, who led Kelowna defenders in scoring in each of the past four seasons, finished his career with 228 points (51g/177a) in 256 regular season games with the Rockets. 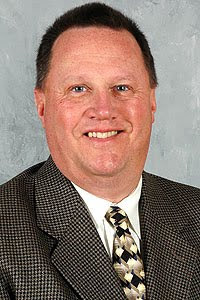 Tyson’s father, Len, played seven seasons in the NHL. Tonight’s Preview: The Kelowna Rockets face-off against the Prince George Cougars in game one of a best of seven Western Conference quarter-final series. Game two is tomorrow night at Prospera Place before the series shifts back to Prince George for games three and four next Tuesday and Wednesday night. These two teams are meeting for the first time in the playoffs since 2000. In that series, the Cougars eliminated the Rockets in five games. These two teams met nine times during the regular season with the Rockets winning six of the nine games and out-scored Prince George 33-24. The Rockets are making their 19th appearance in the playoffs in the clubs 20 year history. The only time the Rockets have failed to make the playoffs was in 2006-2007 when the team won just 22 games and finished ninth in the Western Conference regular season standings. Playoff Experience: Geordie Wudrick, Evan Bloodoff and Tyson Barrie lead the Rockets in playoff experience with 41 games apiece. Overage d-man Zak Stebner has 27 games of playoff experience after playing in 23 games last season with the WHL champion Calgary Hitmen. Seven Rockets are making their playoff debuts tonight including veteran defenceman MacKenzie Johnston, who was a healthy scratch for all 12 playoff games last season. Who’s Hot: Colton Sissons has 17 points (5+12=17) in his last twelve games….Geordie Wudrick has goals in eight of his last twelve games….Tyson Barrie has points in eight of his last thirteen…Evan Bloodoff has twelve points (6+6=12) in his last sixteen games…Shane McColgan has eight assists in his last ten games...Mitchell Callahan has 3+3=6 in his last ten games…Zach Franko has five goals in his last eight games. This and That: The Rockets had 17 more points than the Cougars during the regular season….The Rockets were 22-13-0-2 from January 1st to the end of the regular season. The Cougars were 14-20-0-1 over that same period. The Rockets accumulated 46 points over that stretch while the Cougars earned just 29…Geordie Wudrick has 15 goals over his playoff career. Wudrick scored an amazing eight goals in an opening round series with the Everett Silvertips last season…Tyson Barrie leads the Rockets in playoff points with 33. Barrie has 8+25=33. Wudrick has 23 career points.…The Rockets are facing a BC Division opponent in the first round of the playoffs for the first time since 2009, the year they eliminated the Kamloops Blazers on their way to a WHL title….Nineteen year-old Adam Brown has just three playoff games under his belt. Brown started in the first three games of an opening round series with Everett last season before being replaced in game four by Mark Guggenberger. Brown did not see the ice after that…The Rockets scored sixteen more goals than they did all of last season…Last season the team scored 224 times….The Rockets ended the season with 22 road wins. Last year the team won just 15 times on opposition ice…..The Rockets had 43 wins this season. Last season they had 35 victories…The Rockets had 21 home ice wins this season. Last year they had 20 home victories….The Rockets had 87 points this season. 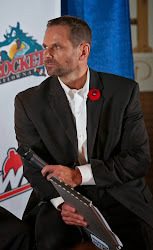 Last season the team had eleven fewer points at season’s end (76)…..Jason Siebert is missing his 48th straight game after undergoing surgery on his wrist….The Rockets allowed the fewest goals against on the road in the WHL this season (93 – tied with Red Deer)….The Rockets were involved in twenty-six (26) one goal games this season. The Rockets were 18-7-0-1 in those twenty-six (26) one goal games…Only three players dressed in all 72 regular season games this season. They were Zach Franko, Kevin Smith and Evan Bloodoff.…The Rockets received the second most power play chances of any team in the WHL this season (383). Tri City led the league with 385 opportunities.… The Rockets (6-0), Portland (5-0) and Swift Current (5-0) were the only three teams in the WHL this season that did not lose in overtime….The Rockets allowed the second (tied with Red Deer) fewest power play goals against in the WHL (51). Only Spokane allowed fewer goals against…At the Rockets awards banquet Sunday, Adam Brown was named the team MVP. Tyson Barrie was named the top defenceman while Mitchell Callahan was the top defensive forward. Colton Sissons picked up the rookie of the year award and top plus/minus player. Jessey Astles was named the most improved while MacKenzie Johnston was the scholastic player of the year. Geordie Wudrick was the humanitarian of the year…The Rockets lost game one of their opening round playoff series to the Everett Silvertips last year (5-4 in overtime). The Rockets last game one win in an opening round series came against the Kamloops Blazers in 2009 (4-2)…Tyson Barrie was named a 1st team WHL All-Star on defence. Barrie was also named the Western Conference representative for the WHL Defenceman of the Year. Barrie is up against Saskatoon Blades d-man Stefan Elliott. Both are drafted by the Colorado Avalanche. Barrie won the award last season. The Kelowna Rockets do get the edge in goal heading into their playoff series with Prince George, but Adam Brown still has much to prove as a 19 year-old goaltender. No question he was lights out during the regular season but the playoffs have been a bumpy ride. Few have mentioned it, but don't forget who played the majority of playoff games for the Rockets one season ago. It wasn't Adam Brown, it was Mark Guggenberger. Brown started games one, two and three against Everett in round one but got pulled early in game three and Guggenberger played the remaining nine games, including a five game series against Tri City in round two. Brown has appeared in just three career playoff games and has yet to record a win. His goals against average in the playoffs is 5.26. I don't want to be 'Debbie Downer', but if you think the Rockets can just show up and let their goaltender steal the show you are sadly mistaken. Brown showed many scouts he was for real during the regular season. Now he has to prove he is a playoff goaltender that can preform under pressure. 41. That's the number of playoff games Tyson Barrie and Evan Bloodoff have under their belts. No one in this series can match that playoff experience. The Cougars top playoff performer is 20 year-old d-man Sena Acolatse. Acolaste has 35 games of playoff experience, with 28 of those games courtesy of his time with the Seattle Thunderbirds. A sure sign that playoff hockey is approaching is the radio talk show circuit. It was nice to appear on Randy Merkley's radio show out of Chilliwack Monday night and then spending some time with Corey Graham on The Team 1260 in Edmonton Wednesday night. On Thursday, Dan Russell has all five BC Division broadcasters joining him for his annual WHL playoff preview show. To conclude the week, AM 1150 will be broadcasting live outside Prospera Place from 4 pm until 6 pm as we get set for the opening game of the Rockets-Cougars series. I will be joined by co-host Jessica Samuels. Come to think of it, the Prince George Cougars are a happy bunch playing the Rockets in round one. For the Cougars, traveling to Kelowna is a breeze when they could have faced Portland in round one had they earned the eighth seed in the Western Conference. I hear the Cougars are using an article that appeared in the Daily Courier this week as bulletin board material for this series. But is it bulletin board material if the opinion of the writer is not necessarily shared by the team? Speaking of media coverage, it will be interesting to see how the Prince George Citizen newspaper handles this series. Under Jim Swanson, the Cougars were blanketed with top quality coverage that was second to none. Now that Swanson is no longer part of the picture, who picks up the ball? Or are the Cougars not worthy of being covered even though the playoffs have arrived? That question can only be answered by the editor. Or is little Bobby Dodiddle's bowling scores more important? I am told the newspaper often didn't show up during the regular season to cover that Cougars because they weren't worth the bother. If they don't cover the Cougars and have a staff member in the building they should be embarrassed to call themselves Prince George's local newspaper. He had little chance of being named the rookie of the year in the West Conference, but take note of Cougars 16 year-old forward Troy Bourke in this series. Bourke had nineteen goals this season...yes 19 goals. What a year! By comparison, Brett Connolly had 30 goals as a 16 year-old. Here is my convo with WHL disciplinarian Richard Doerksen on the four game suspension handed to Kelowna Rockets forward Evan Bloodoff. Rockets 20 year-old forward Evan Bloodoff will learn his fate when WHL disciplinarian Richard Doerksen hands down his verdict Tuesday on the charging penalty and game misconduct he was give in the first period of Saturday night's game against Vancouver. Giants defenceman Joel Rogers received a shoulder to the head and left the ice on a stretcher. If this was the regular season my belief is Bloodoff would get five games, but the fact that it is the post season when the suspension is served, does that factor into the decision? Would three games or less make more sense considering the impact that a suspension holds at this time of the year? Guess we will find out. Close to 8 and a half hours. That's how long the bus ride is from Kelowna to Prince George. It could be worse! The Medicine Hat Tigers will play the Brandon Wheat Kings in an opening round playoff series where the Wheat Kings will play a few home games in Winnipeg because Brandon is hosting the Manitoba Fair. The driving time from Medicine Hat to Winnipeg is 12 hours or just over a thousand kilometers. The drive from Kelowna to PG is just over 700 k.
While I was cheering against a Kelowna-Prince George match-up in round one, Cougars head coach Dean Clark had his prayers answered. Clark makes his off season summer home in Kelowna. The situation for Clark couldn't have worked out any better. These two teams are meeting in the playoffs for the first time since 2000. That season the Rockets were guided by Chilliwack Bruins head coach Marc Habscheid. Don't forget, Cougars GM Dallas Thompson is a former Rockets alumnus. Thompson played three seasons with the Rockets while the team was in Tacoma. If my memory serves me correctly, Thompson was also a team captain. You can find his picture in the Rockets dressing room of all the captains that have worn the 'C'. Brett Bulmer and Brett Connolly will get to know each other well in this series. The two have a good relationship considering the two were teammates playing midget hockey with the Cariboo Cougars. The two head coaches in this series played junior hockey with the Kamloops Blazers. Dean Clark played with the Kamloops Junior Oilers from 1982-85 while Rockets head skipper Ryan Huska played from 1991-95. Both Clark and Huska played in one NHL game. Clark played with the Edmonton Oilers while Huska played one game with the Chicago Black Hawks. The two assistant coaches in this series are former Swift Current Broncos defenceman. Dan Lambert played four seasons with the Broncos from 1986-90 while Cougars assistant coach Jason Becker played two seasons from 1993-95. Adam Brown was named the MVP. He becomes the fifth goaltender to pick up the honour, following in the footsteps of Derek Yeomans, Kelly Guard, Shane Bendera and Kevin Swanson. Tyson Barrie was named the top defenceman. It's the second time he's picked up the award. The last d-man to win the honour in back-to-back seasons was Luke Schenn. Scott Hannan won it three years in a row. Colton Sissons is named the rookie of the year. The 17 year-old also won the top plus/minus award. Shane McColgan picked up the top scorer. McColgan becomes the youngest player to ever lead the Rockets in scoring. Not bad for a 17 year-old. Evan Bloodoff was named the unsung hero. Mitchell Callahan was the top defensive forward. MacKenzie Johnston was the scholastic player of the year. Geordie Wudrick won the humanitarian of the year honour. Zach Franko was named the most sportsmanlike player of the year. Jessey Astles was named the most improved player. The Kelowna Rockets have a date with the Prince George Cougars in game one of their opening round playoff series Friday night at Prospera Place. Game two is Saturday before the series shifts to PG for games three and four Tuesday and Wednesday. It marks the first time the Rockets and Cougars have met in the playoffs since 2000, when the Cougars beat the Rockets in five games in round one. Playing games on the road is often a scary experience. It can be intimidating, especially when the majority of the 14 thousand fans watching are against you. But this years edition of the Kelowna Rockets seem to thrive, not cower under those conditions. Geordie Wudrick scored twice while Zach Franko added his 21st goal of the season in the Rockets 3-1 road win Friday night over the Vancouver Giants. It was the Rockets seventh straight win on the road. The Rockets wrapped up their regular season road schedule with their 22nd win on opposition ice. The game started off with a bang when 15 year-old Rockets rookie defenceman Madison Bowey knocked down fellow 15 year-old Anthony Ast with a solid hit at the blue line. Ast needed the help of a teammate and a member of the Giants medical staff to get off the ice. The Giants first round pick in the 2010 WHL Bantam Draft did not return. This was the first time the Rockets really dominated the Giants physically in their own building. The days of Giants power forward Lance Bouma running wild at Pacific Coliseum are gone. The Rockets were the aggressors and gave as much or more than they got. Bowey was playing in only his second career WHL game but didn't look out of place. The big hit was followed by his first career point; an assist on Wudrick's second period goal. The Winnipeg resident didn't look out of place playing alongside 20 year-old Zak Stebner. Colton Sissons returned to the lineup after missing five games with a knee injury. Sissons didn't miss a beat collecting two assists playing with Evan Bloodoff and Wudrick. The overall energy/urgency in the Rockets game against the Giants was far superior than what we witnessed Wednesday against Seattle. The effort Friday looked like a team that has won over 40 games this season. Wednesday's effort looked like a team that was about to miss the playoffs. The Rockets ended the road portion of the schedule with 22 wins. Only one other team in the Western Conference has more road victories. The Portland Winterhawks have 23. What a great crowd Friday night. They had little to celebrate, other than a fan going away with a new vehicle during the 2nd intermission. When you can attract a crowd of 14 thousand plus when you are riding a seven game losing streak, it tells you that the Giants are a popular draw even if the Canucks are playing at home on the same night. After losing the first two games of the seasonal series the Rockets have won the last five meetings against the Giants. If the Prince George Cougars beat the visiting Kamloops Blazers Saturday night and Everett fails to earn two points against Chilliwack, the Rockets and Cougars will meet in an opening round playoff series next Friday at Prospera Place. "Shane has done well. Maybe people's expectations were higher than they should have been. He is a very competitive player. He has good hockey sense and every shift he shows you something and he has a bit of a meanness to him to which I think is good. 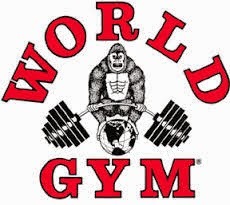 He obviously has to have that element at his size." Why has McColgan slipped in the NHL Central Scouting rankings? "He's 5 foot 8 and a quarter which might put him back a bit. He had a little bit of a lull there probably through November and through Christmas and he's worked through that. I think he's bought into the team here and what they want to do as a group." "I think Franko's a skilled guy. He will probably get drafted at some point in the draft. He has good hockey sense. I don't think you have to worry about him....he'll be picked." "Jessey Astles is a player who has a lot of competitive nature. A player that probably has a good opportunity to be drafted just because the way he plays every shift." Pickard won't get an easier shutout than that! Is Adam Brown the best ever?